The federal government spent nearly $1.5 billion on nanotechnology projects in 2008 based on data from federal agencies. However, only $58.6 million is devoted to the research that studies potential environmental, health and safety consequences of nanomaterials. We believe that the best way of protecting society against new catastrophes is to avoid them. The history of asbestos disaster taught us to first thoroughly test new materials before their industrial applications. The recent public outrage on the news that there are traces of drugs in drinking water will lead to the enforcement of stricter rules for the disposal of chemicals. Nanoparticles are among the compounds that could easily pollute the environment due to their very small size. Among federal agencies, NSF has significantly invested in advances of nanoscience, so understanding the consequences of developing it to the mass production level and bringing tons of nanomaterials into the environment should be one of the areas of its mission. Therefore, we enhanced the research capabilities of Jackson State University by establishing the Nanotoxicity CREST Center that efficiently integrates experimental and computational research with undergraduate and graduate education and training of minority students. The Center develops new approaches to enhance knowledge related to nanomaterials, their practical applications, and environmental effects and to implement an integrated education and research program in the area of nanotoxicity. It is anticipated that the implementation of the above-stated studies will provide new insights into the mechanisms of the toxic action of nanomaterials, as well as relevant scientific information for making informed decisions regarding the cost-effective management of nanomaterials. It will also provide an excellent opportunity to train undergraduate and graduate students in the emerging area of nanotoxicology. Professor Jerzy Leszczynski has been directing the Center since its establishment. 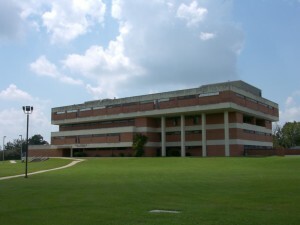 A major activity of the Center is focused on graduate students entering the Ph.D. program in chemistry. To solidify their academic training, students attend lectures; participate in workshops, conferences, and seminar series; and publish in national and international scientific journals in the area of computational chemistry. Graduate, undergraduate, and high school students also participate in our summer research program and are trained and mentored in the area of computational chemistry by our postdoctoral fellows.